The International Society for Intellectual History has been a forum connecting intellectual historians since 1993. In the past the ISIH incorporated news of our member’s publications in Intellectual News. 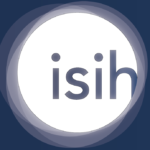 To serve a similar function, the ISIH website now includes an announcement section. Our intention is to develop a site collecting information on: undergraduate and postgraduate courses in the field; scholarships and other funding opportunities; essay and monograph prizes; major research resources; seminar series, workshops, conferences and exhibitions; calls for papers; and major collaborative research projects. To submit an announcement to be included on the International Society for Intellectual History’s website, our Facebook Group and our Twitter feed, please enter the details of your CfP, conference, workshop, job, scholarship, etc. via our submission form.